Should Severe Premenstrual Symptoms Be A Mental Disorder? : Shots - Health News Earlier this year premenstrual dysphoric disorder, or PMDD, became a recognized mental disorder. But not everyone is convinced that's a good idea. Some researchers worry that medicalizing this unrelenting form of PMS could be used against women, even though only a small percentage of women meet the criteria. 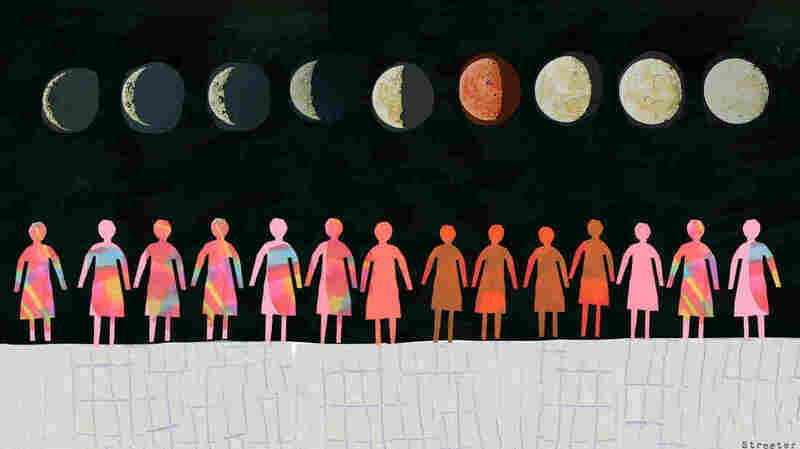 Women's moods can change based on the phases of their menstrual cycle. But does that mean they have a psychiatric disorder? The way Ronna Simmons of Philadelphia describes it, every two weeks a timer goes off. Simmons, 24, will have been doing just fine, working, taking care of her daughter. And then suddenly everything changes. Normally cheerful, Simmons says she begins to hate herself. "I tell everybody, 'I'm not myself right now,' " she says. " 'I'll call you back when I'm Ronna again.'" Simmons has premenstrual dysphoric disorder, or PMDD. It's sometimes referred to as "PMS on steroids." PMDD is defined by psychiatrists as a fairly rare syndrome that prompts disabling emotional and sometimes physical reactions to the hormonal changes that come with a woman's period. Psychiatrists have been slow to formally recognize PMDD as a disorder, but that's changed under the new Diagnostic and Statistical Manual, the DSM-5, which lists PMDD as a distinct mental disorder. Doctors who treat PMDD say women typically begin experiencing symptoms around the start of the luteal phase of their menstrual cycle, a two-week span between ovulation and the first day of a woman's period. Symptoms can include severe depression, anxiety and tension. And then just as quickly, the symptoms disappear. "Once your period starts," says Megan Olney, 29, from Warren, Ohio, "it's like a release. You feel OK, but then you have to deal with what you just went through." Olney was a teenager when she realized that there seemed to be a link between her period and the extremely dark moods she was experiencing. But when she tried getting help, she found doctors skeptical that her emotional problems could be connected to her period. So Olney went online and diagnosed herself. She learned that PMDD is different from premenstrual syndrome (PMS), different from depression or bipolar disorder. As many as 85 percent of menstruating women have at least one PMS symptom, according to the American College of Obstetricians and Gynecologists. PMDD is much less common, affecting no more than 1 percent of menstruating women. The PMDD diagnosis has three main criteria. First, the symptoms have to correspond with the menstrual cycle for a minimum of two successive months. Second, the symptoms must be truly disruptive to a woman's ability to carry out her normal activities. That's different than in PMS, where most symptoms are mild. Finally, to be diagnosed with PMDD women must report that they aren't depressed all the time, just in the days leading up to their periods. In PMDD, says Dr. C. Neill Epperson, who directs the Penn Center for Women's Behavioral Wellness, a woman clearly has "symptoms under a certain hormonal state that are not there under another hormonal state." Epperson says the medical literature was until recently vague about what PMDD is and how to treat it, but that has changed. Previous versions of the DSM lumped PMDD into a category called "not otherwise specified." Last year, Epperson served on a work group in charge of updating the manual. The group decided to give PMDD its own entry as a full diagnosis in the latest version of the manual, the DSM-5. Epperson says it was a controversial decision. 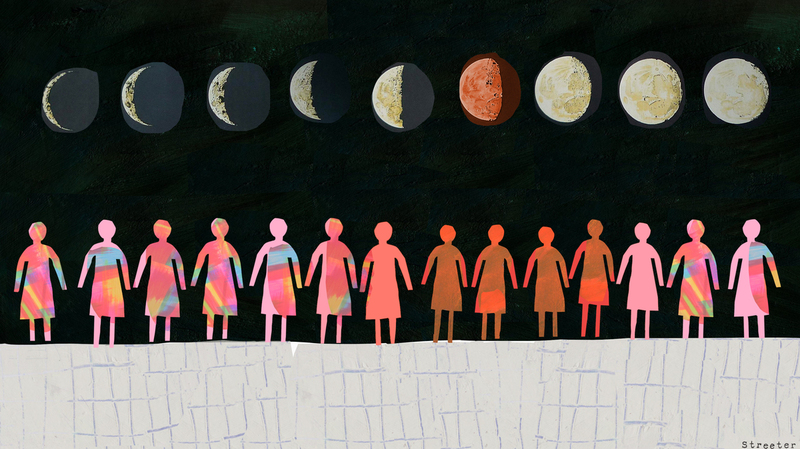 "I think any time a disorder occurs more frequently in women or only in women, there's going to be a group of individuals who have concern that this will diminish women's role in society, their sense of being capable," Epperson says. One person concerned about that is Sarah Gehlert, who studies health disparities in the school of social work at Washington University in St. Louis. She has tried to find out how many women actually have PMDD, to see, as she puts it, if there was "any evidence for this disorder." Gehlert's team randomly recruited 1,246 women from around St. Louis and Chicago. They asked the women to fill out a form every day for two months, answering basic questions about their mood and how they were feeling. The form said nothing about menstruation. Instead, the women submitted daily urine samples, so Gehlert's team could see where each was in her monthly cycle. "I wanted to go into it as scientifically and objectively as possible," she says. This was especially important to Gehlert because PMDD struck her as a diagnosis that could be used against women. "Say a poor woman was in court, trying to see whether she could keep custody of her child," Gehlert says. "Her partner's or spouse's attorney might say, 'Yes, your honor, but she has a mental disorder.' And she might not get custody of her children." At the very least, Gehlert worries that PMDD could be overdiagnosed, pathologizing healthy women who were experiencing normal hormonal shifts. After all, she says, there's a lot of money to be made from it. One textbook example is the prescription drug Sarafem, which was approved by the Food and Drug Administration in 2000 as a treatment for PMDD. In reality, Sarafem is identical to the widely prescribed SSRI antidepressant Prozac, or fluoxetine. The patent on Prozac was about to expire, and manufacturer Eli Lilly faced losing market share to generic versions. In this TV ad, no shopping cart was safe from a woman with PMDD. So Eli Lilly gave Prozac a new name, Sarafem, and painted it pink. What had been a generic drug that cost 25 cents a pill was marketed as a PMDD-specific drug for $10 a pill. The marketing of Sarafem raised eyebrows. In November 2010, after Lilly aired a TV commercial showing a frustrated woman wrestling with a shopping cart, the FDA sent Lilly a letter telling Lilly to "immediately cease using this broadcast advertisement and all other promotional materials for Sarafem that contain the same or similar issues." The shopping-cart commercial never defined PMDD, the FDA said, and failed to distinguish it from PMS. "Consequently the overall message broadens the indication and trivializes the seriousness of PMDD," the letter continued. "For a diagnosis of PMDD, symptoms must markedly interfere with work, school, usual social activities, and relationships." To Gehlert, the women in the Sarafem ads looked like normal women who were just having a tough day. That would attach any kind of normal frustration to the menstrual cycle, she says. And that could lead people to think "that women — over men — were predisposed toward that sort of behavior." In the women Gehlert studied, just 1.3 percent fit the criteria for PMDD. The results were published in 2009 in the journal Psychological Medicine. It's a small number, smaller than what other researchers have found for PMDD. To Gehlert the jury is still out, especially when there is still so little hard evidence about how hormonal changes interact with a woman's emotions. "I would feel much, much more comfortable if we understood the biology behind it," she says. "Even though we found evidence, the question remains: Is what we described real?" Megan Olney says she understands their concerns. She knows how neatly PMDD can fit into harmful stereotypes about women. But getting formal recognition for PMDD has made a difference to her. "There comes a point where you need to realize there is a name for what you're going through," she says. "It helps you to realize that you're not alone in your struggles." Today, there's a big online community centered around PMDD, forums where Olney and other women talk about what's worked for them — whether it's antidepressants, birth control pills or exercise and diet. They find each other on Twitter and other social media networks. That community can be its own therapy, says Amanda Van Slyke, who is 23 and lives in Edmonton, Alberta. The online communities have been a refuge for Van Slyke, a place where she "came out," as she puts it, as a woman with PMDD and found others willing to share their experiences with the disease. Resources include the National Association for Premenstrual Syndrome in the United Kingdom, various Facebook sites, and the #PMDD hashtag on Twitter. Van Slyke and other women say the forums are also a place to be reminded that, unlike other mental disorders, PMDD always goes away, at least for a while.